Landscaping improves curb appeal and increases the value of your property. The professional landscapers at Grass Roots Inc. will bring beauty and interest to your yard. What does your front yard landscaping say about you? Is a landscaping deficiency affecting the salability of your home? Your front yard's appearance tells alot about how the property has been cared for. Even if you are not planning to sell your home this season, it can't hurt to have your front yard landscaped for curb appeal. When you call a landscaping contractor to assess your front yard, he looks for nice features and the less nice characteristics of your yard. 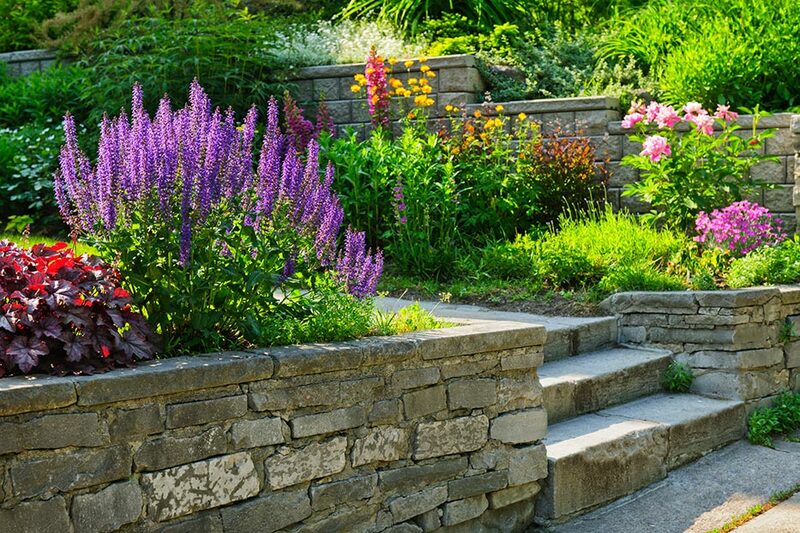 Landscape design begins with the house as the focal point, and features such as plants and structures are arranged in a way that enhances the look. Color and scale can make a breathtaking improvement when executed properly. The focal point of a front yard landscaping project is your house. The appearance of your home from street level ought to draw the eye in a pleasing way to the front door of the house. The path from the street to the front door should be clear and inviting. Use of color can dramatically affect the appearance of your home from the street. Choice of color is best left in the hands of the designer. This brings us to the appearance of your facade and the entry to the home. If your home's facade looks shabby or tired, a fresh coat of paint will be a big improvement. Before making any drastic changes, though, consult the design team at Grass Roots Inc. When you want to improve the appearance of your front yard for your own satisfaction or improving your home's curb appeal for an open house prior to a sale, you need the expertise of a professional and experienced team. Call Grass Roots Inc at 203-746-6638 today. Our service area includes the western Connecticut towns of New Milford, Brookfield, Sherman CT and surrounding towns.